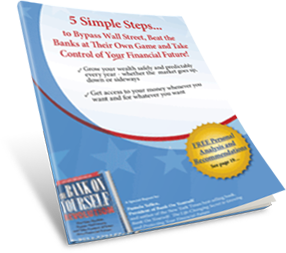 In my best-selling book on Bank On Yourself, a number of folks shared the personal and intimate details of how they’ve been using Bank On Yourself to reach a variety of short-term and long-term personal and financial goals and dreams. 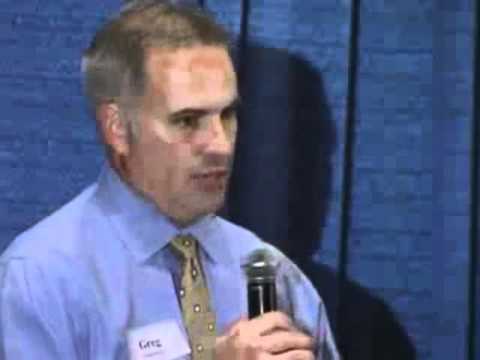 Perhaps one of the most inspiring stories was shared by Greg and Christy Gammon. Since I interviewed them, their lives have taken some interesting twists and turns, and their Bank On Yourself policies have come to the rescue in surprising ways. No two Bank On Yourself plans (policies) are alike. Each is custom-tailored, so yours would be uniquely suited to your goals and dreams. It’s easy to find out what your bottom-line numbers and results could be. Simply request your free Analysis here… and take the first step towards taking back control of your financial future. Why not do it now, while it’s fresh on your mind? Answers are not forthcoming on specifics about how the plan works. Dancing around the question with political-like responses does nothing for me. Answer this specifically if you dare. I buy a straight life poicy and put $10,000 into it, how much can I borrow from it and WHEN DO I HAVE TO PAY IT BACK? Thats for starters. Now be specific and tell all I must know to complete, comprehensively understand your program. Thanks. My, my, my – a little grumpy today, aren’t we? A “straight life” policy (the kind Dave Ramsey, Suze Orman and most financial advisors talk about) most likely won’t have any cash value available to use in the first couple years. But a Bank On Yourself-type policy incorporates components that super-charge the growth of your cash value, especially in the early years of the policy. Depending on a number of different factors, you could typically have somewhere between $4,000 to $6,000 or so available to you to borrow after paying a $10,000 total premium in your first year, as per your example above. And you can pay it back whenever and however you want, unlike when you borrow from a finance company or use a credit card. One caveat: if you borrow most of your cash value in the early years of the policy and don’t pay it back, your policy could lapse. So you want to take care not to allow that to happen. I will say it again, because it’s true: No two Bank On Yourself policies are alike, and the only way to determine the bottom-line results you could get is by requesting a Bank On Yourself Analysis. You may be a little grumpy. Me, I am skeptical. I have heard these claims for many years and they are total B.S. No, count me out. Have a nice day! Wow…lol..I thought I was the only one who got this long ago. Clearly though I see others go through this ring of fire pretty bad too. Don’t worry Pamela, I understand where you are coming from. I first learned about this industry as a termite (person on the buy term/invest dif. philosophy), thought it was great….until…I also learned about this concept through Nelson Nash, then Douglas Andrew, and then you had a very wonderful PDF and book that made it more understandable. I then thought about selling this philosphy my self with a reputable Mutual company, only to find out there are people out there that complain its “nonsense”, following their Gucci goddess Orman or Preacher Ramsey. Don’t get me wrong, they mean well, but often close peoples minds for them. I came to the conclusion after not selling much and reading Killing sacred cows, that A. I am not a very good salesmen and it was not my calling and B. The people that complain about this are often looking for “something for nothing” or what Mr. Gunderson coins more often the “consumers” rather than “Producers”. Yes, it does brighten my day! Good luck following your calling – teaching is a noble endeavor. BUYER BEWARE. THIS IS A TOTAL RIPOFF. RUN RUN RUN! Thank you for your very articulate and well-documented comments. More about the 401(k) hidden fees that rob you every day and you don’t know it. Dave Ramsey himself explains how bad 401(k) is and says to work 6 part time jobs….instead of using some cash…. not with B.O.Y. you can use it in hard times with no penalties!!! I could go on and on Jimmy….and any other naysayer who believes the same way….but it just gets depressing after a while, watching these people cry about how bad they were suckered, and then finding out even more about the 401(k). In case the 3 part links don’t work on you browser due to the typing here they are….Talk about FAIL!! !